The only way in which we can truly examine happiness, is by looking deep into ourselves: our way of being; the way we carry ourselves; our everyday behaviour and habits. By doing so, it helps us understand more about ourselves. If we understand more about ourselves, we understand more about others. All of us have the basic qualities to attain happiness, we all share the potential – simply because we all have consciousness. We all have the same wish and aspirations, as we are all searching for happiness. 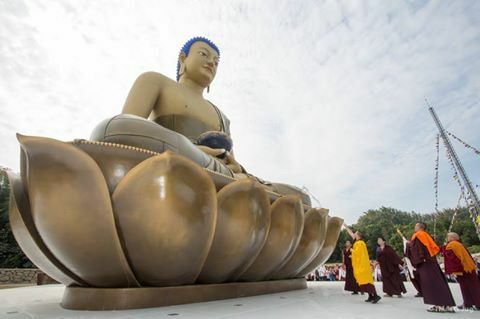 This, of course, is not just any lineage, but a lineage of compassion and wisdom: a lineage for the teachings of Lord Buddha; the teachings that have survived; the teachings that have developed for over 2500 years; and are developing as we speak. 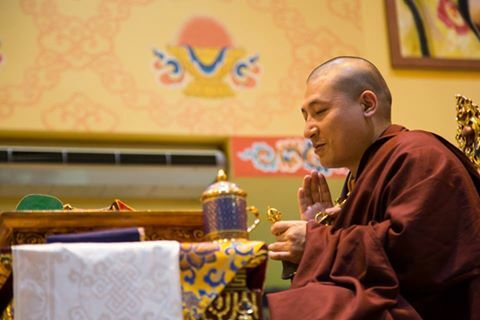 These teachings have been brought to the various regions of the world. Buddhist teachings have now reached everywhere across the globe, and are benefiting countless beings through a message of compassion and wisdom. Countless beings are realising the benefit of such timeless teachings, of such timeless practice, a practice that doesn’t require any effort at all. Simply by generating compassion, generating wisdom to others, brings great peace to ourselves, to others, and therefore to all those around us. In Buddhism, violence is thought of not just as physical action, but in terms of our thoughts and words as well. We can see through history that physical conflict rarely takes place without violent thoughts and words preceding them. Our thoughts manifest our words. Our words manifest our deeds.